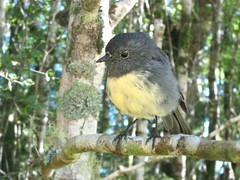 We hope and predict that hunting and trapping within the Brook Sanctuary, preservation and enhancement of the native flora (thanks weeders) and the eventual construction of a pest-proof fence will not only increase bird activity within the sanctuary, but also in the surrounding areas of Nelson, Stoke and Richmond. The only way we can know this, however, is by having some measure of bird activity across the wider community over time. Become a Backyard Bird Monitor. Backyard bird monitoring involves counting the birds seen in one’s backyard, a local park or other area of choice over a period of half an hour between the 14th and 22nd of each month (except July, when we ask that you monitor for one hour to coincide with the National Bird Survey). Only the largest number seen at one time of each species is recorded. Monitoring can be conducted at any time of day, but please note the time on your monitoring form. If you don’t know a sparrow from a song thrush, now is a great time to learn. A useful resource is http://www.whatbird.co.nz/. Please contact Katherine Chamberlain at BrookBirdData@gmail.com if you are interested in becoming a Backyard Bird Monitor or would like additional information. We have reviewed our pest control efforts. 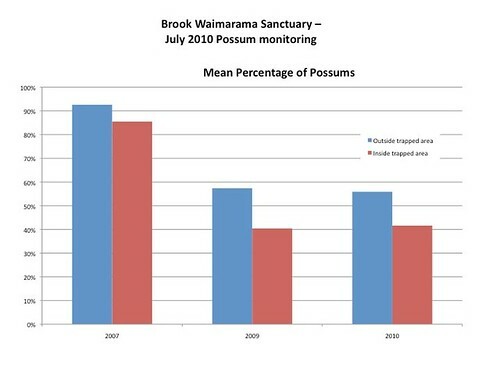 It appears clear that our trapping has successfully reduced stoat numbers and has had an impact on possums. 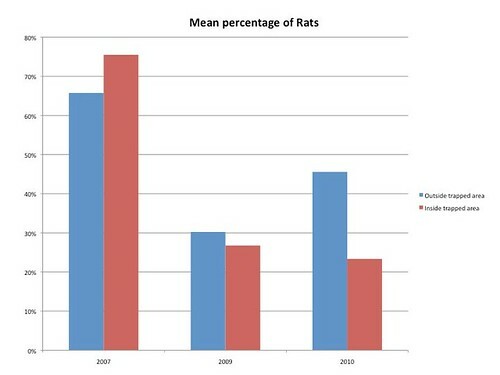 The story with rats is more variable. Our wonderful monitoring team coordinated by Karen Driver who are applying national best-practice to measure mustelid and rodent activity using tracking tunnels. They monitor ten lines in and outside the sanctuary and our trapped area, mountain biking to beyond Third House for the furthest line!